The psychological consequences of a severe work injury can be devastating, and often not discussed enough. If you’ve earned your living by working at heights and on ladders, it can be daunting to imagine heading back to work and doing the same thing ever again. It can take time and money to psychologically heal after a traumatic fall. 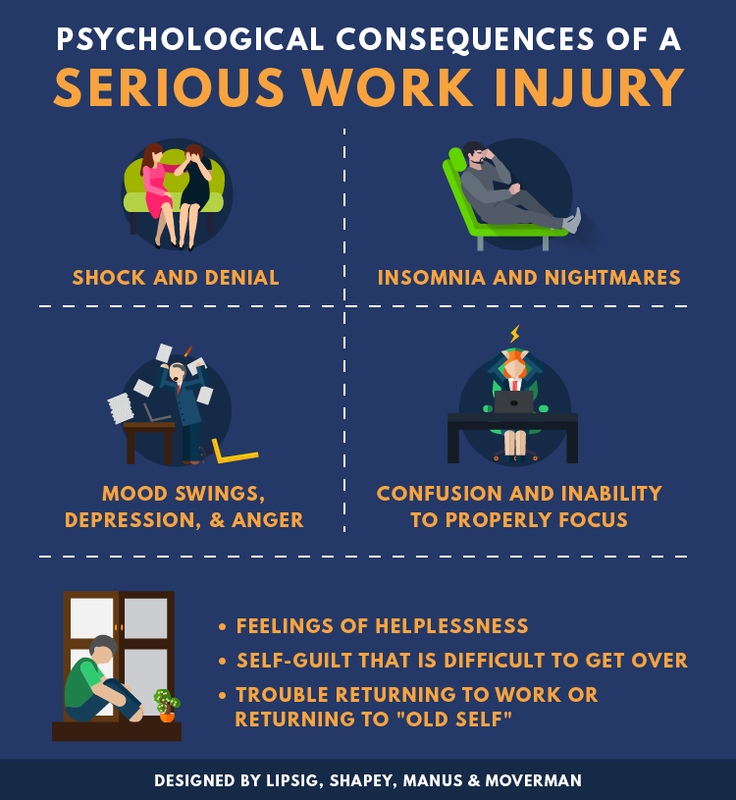 Learn more about the consequences of a serious work injury in this infographic by Lipsig Law Firm Bronx.